Somewhere in the world, in the next forty seconds, a person is going to commit suicide. Globally, suicides account for 50 percent of all violent deaths among men and 71 percent for women. Despite suicide prevention programs, therapy, and pharmacological treatments, the suicide rate is either increasing or remaining high around the world. Media and Suicide holds traditional and emergent media accountable for influencing an individual's decision to commit suicide. Global experts present research, historical analysis, theoretical disputes (including discussion on the Werther and Papageno effects), and policy regarding the media's impact on suicide. They answer questions about the effects of different types of media and storytelling, show how the impact of social media can be diminished, discuss internet bullying, mass-shootings and mass-suicides, show the effects of recovery stories, and much more. The editors also present examples of suicide policy in the United States, Switzerland, the United Kingdom, Ireland, and Hong Kong on how to best communicate reporting guidelines to decrease the copycat effect, especially in less developed nations where most of the world's nearly one million suicides occur each year. 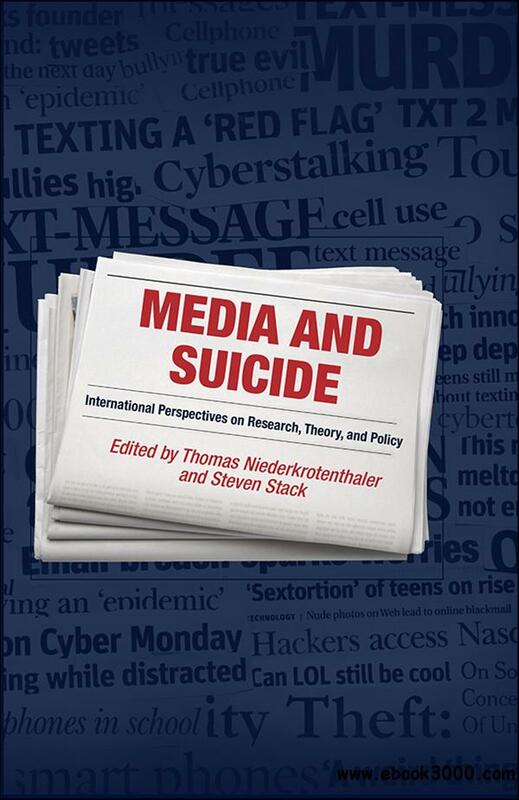 Although there is much work to be done to prevent media-influenced suicide, this innovative volume will contribute a large piece to this complex puzzle.